Tommy Guerrero took a long Lyft ride south to discuss growing up in San Francisco CA, riding for Madrid, getting on Powell Peralta, filming the early Powell Peralta videos in one day, doing 36 demos in the summer, leaving Powell Peralta to start Real Skateboards, getting into music at young age, BS with TG, making the soundtrack for the 40’s video, his process for making music and much more! It’s been 30 years since the members of the Bones Brigade gathered to skate together on the Chin Ramp. This insightful and video piece includes interviews with the guys that original Chin Ramp builder Tim Payne, photographer Grant Brittain, and several very well known pro skaters whom were hugely impacted by the video and its subliminal messages decades ago. Watch your favorite skaters rip the Chin Ramp again right here and now. The search for Animal Chin continues. 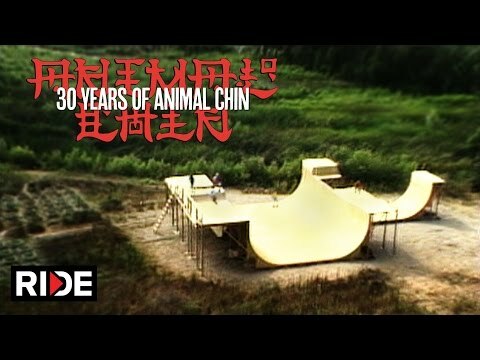 With Powell Peralta’s renowned 1986 film, “The Search For Animal Chin”, it was the Chin Ramp that stole the show. The Chin Ramp was unfathomable in size and had just about every element from large extensions, larger channels, a mini ramp on the deck, a verticle spine and a tunnel. Built by Tim Payne, the Bones Bridage had just 3 days to skate the ramp before it was gone forever. Now 30 years later Tim Payne and the Brigade cite their personal experiences with the ramp and the amazing times they had together skating and shooting for this iconic film. The Bones Brigade is offering signed *BLEM decks and signed decks in shadowboxes available in The Vault. Portions of the sale of these decks benefit the Tony Hawk Foundation. Head over to BonesBrigade.com for more info. The Tony Hawk Foundation hosted a fundraiser at House of Vans Brooklyn. Skaters included Tony Hawk, Eddie Elguera, Lance Mountain, Mike McGill, Rodney Mullen, Christian Hosoi, Ben Raybourn, Chris Cole, Ishod Wair, Corbin Harris, Kevin Staab, Riley Hawk and Nyjah Huston!